Overnight the dollar index (KTM: DXY) was little down to 96.45, paused the rally at the 161.8% Fe (93.16-95.25-93.40). US 10Yer treasury yield rose from 2.86% to 2.87%. Gold rose from 1160.0$ early Asian low to 1182$, but closed at 1173.80$, flat. Palladium was the leader in the commodity block up by 4.50%, followed by Platinum and Silver up by 1.50% each. 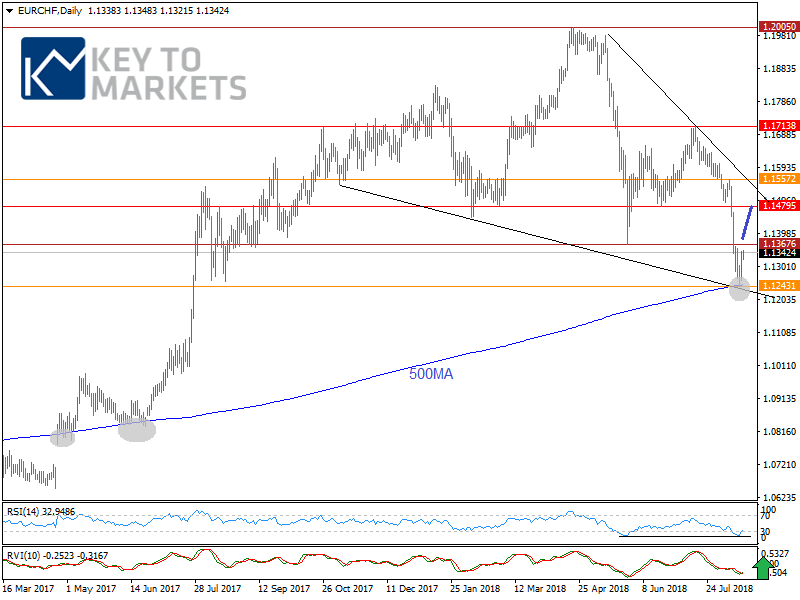 EURUSD: EURUSD has tested the 200MA (Weekly) on Monday’s Asia session and held as the week progress. 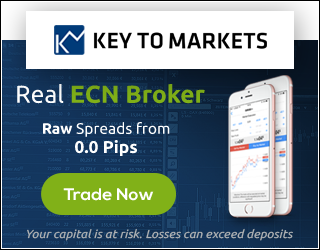 We believe today the price likely to remain between 1.1430-1.1300 levels. For an intraday trading perspective, the erosion of the 1.1400 thresholds could open to 1.1430 and 1.1450. Supports are at 1.1365 and 1.1350 below these, 1.1300-1.1280 exists. 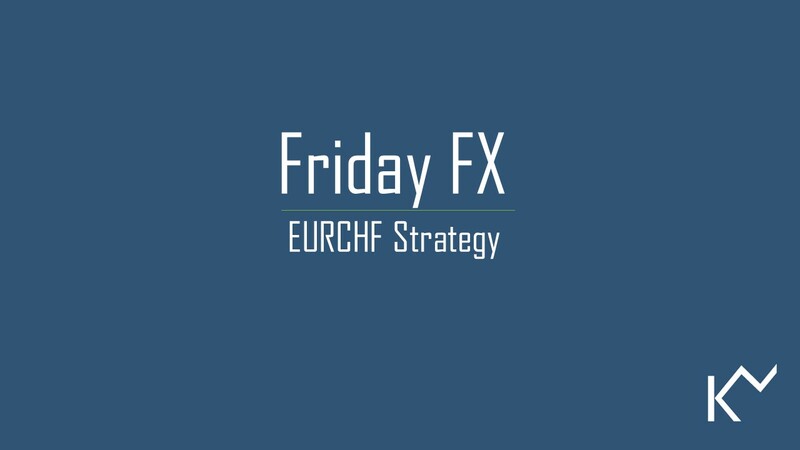 EURCHF: EURCHF is relatively exposed to the risk sentiment. As the risk sentiment is improving we forecast a short-term rally. The cross manages to hold the area of support defined by the following. Since the daily oscillator has picked up and as the daily study RSI has been turned bullish, rallies are anticipated towards 1.1380-1.1400 ahead of the resistance 1.1440 its 14MA and 1.1480 its 20MA. Today the cross finally ready to test the resistance at 1.1380-1.1400 if well above 1.1360. Supports are at 1.1315-1.1300, 1.1260 and 1.1200.